All business website sponsors will have their business name and/or logo rotated on the home page along with their website and contact information listed on the IFSAP sponsor page. Sponsorships are for one year and may be renewed annually. 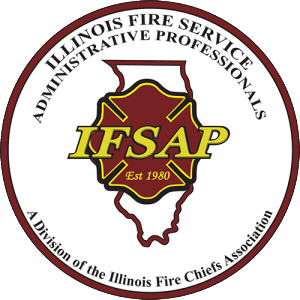 The Illinois Fire Service Administrative Professionals organization is dedicated to professional growth through education and information sharing of current issues and emerging trends in order to elevate the value of administrative services to those we support. Please enclose the Website Sponsor form and check made payable to IFSAP.